This article first was published as a guest post on The Christian Science Monitor blog Modern Parenthood on April 4, 2013. What do early radar images of hurricanes, handwritten ship logs, and backyard rain gauges all have in common? More than you might think. Each of these types of meteorological records represents one small piece of our global climate history. They all hold clues as to how our climate might be (or might not be) changing. And each one offers an opportunity for average citizens of all ages to make meaningful contributions to science. For many kids, science class means slogging through textbooks, memorizing the discoveries of others, and performing pretested experiments that come with preconceived answers. 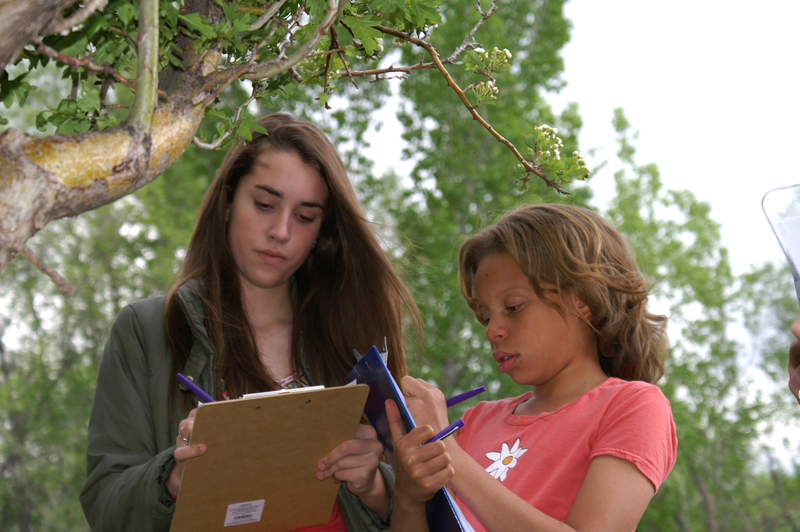 On the other hand, citizen science projects can offer kids the chance to not just study science but also actually participate in and make a real contribution to science outside the constraints of the classroom. Citizen science is certainly not new. The Audubon Society has called on amateur birders to conduct its annual Christmas Bird Count since 1900. For centuries, backyard astronomers have recorded their observations of the night sky, helping astronomers map the galaxy. Today, many scientists are calling on everyday citizens to help understand the scientific issue of the century, global climate change. When trying to develop a solid picture of the current climate, climatologists have to look at not just large weather patterns, but at individual microclimates. As the old saying goes, “Rain doesn’t fall the same on all.” Farmers and skiers can testify that hail and snow do not either. Piecing together detailed precipitation maps takes an extensive array of data, far beyond the existing weather monitoring infrastructure. So, rain networks around the country have turned to everyday citizens, families, and classrooms to collect and report rainfall measurements. The Community Collaborative Rain, Hail and Snow Network, (CoCoRaHS) coordinates local volunteer groups in every state and parts of Canada with sponsorship from the National Oceanographic and Atmospheric Administration (NOAA) and the National Science Foundation (NSF). CoCoRaHS participants commit to spending a few minutes each day recording measurements taken from rain gauges, or plastic cylinders used for measuring inches of rainfall, placed outside their homes. Volunteers later upload their data to the CoCoRaHS website. The tasks are simple enough that even children can participate with minimal adult assistance. In the process, kids get practical experience that reinforces several concepts taught in science class, including taking precise volumetric measurements, following consistent protocols, and organizing data. Unraveling climate change requires not just an understanding of what is happening right now, but also of historic climate data. Fortunately, citizen scientists have collected weather statistics for centuries. However, much of that information must first be teased out of some unlikely places. Researchers at Boston University recently plotted observations made in flower journals by Henry David Thoreau, the famed existentialist writer, philosopher, and naturalist, against temperature records to reveal the correlation between the onset of spring and bloom time. The researchers published their findings in the scientific journal PLOS One earlier this year. Not all of these kinds of records are as manageable. The British Royal Navy holds extensive daily records that date back to the middle of the 19th century. These detailed logs include wind speed, temperature, barometric pressure, and wave height around the world and across two centuries. Researchers atOldWeather.org have acquired millions of pages of handwritten logs and need help processing them. This data holds valuable information about oceanic and arctic weather patterns. However, before climatologists can properly analyze these records, someone has to transcribe them into a digital format that computer modeling programs can read. That’s where everyday citizen scientists can help. Volunteers can sign up with OldWeather.org and pour through scanned images of ship logs. Since the site’s initial launch in 2010, citizen scientists have helped to transcribe over 20,000 log pages, an impressive number but still only 14 percent of the pages waiting to be recorded. To help break up the tedium of data transcription, OldWeather.org has made the project something of a game. Volunteers can join a specific vessel, focusing on logs from a particular journey. Volunteers sign on at the rank of cadet. As they complete additional pages, they earn promotions. The volunteer who completes the most pages for that vessel becomes the captain of the ship. Those who continue with the project consistently soon find additional rewards hidden within the logs. Sailors recorded much more than weather data in these log books. As volunteers sift through several pages, stories begin to emerge. Some logs detail the effects of the Spanish flu. Others talk about new pathways opening up in the Arctic as ice formations changed. Many detail happenings of the ship’s daily life, from reprimands for drunken sailors, to the tragic loss of a ship’s chocolate stores that were swept overboard. For kids and adults, these kind of stories help bring history to life. These are just a couple of the many projects searching for citizen scientists. Meteorologists at the Cyclone Center need volunteers to help classify early infrared and satellite images of hurricanes in order to help understand if current storms are more intense than historic storms. Biologists at Nature’s Notebook need amateur naturalists to submit observations of phonological data, such as first leaf out, bloom time, bird migration, and insect emergence. Many more projects can be found on the Citizen Science Alliance website.